In the last post in this series, we took a brief tour of an unusual but important type of MAT analogy: questions based on a word’s spelling, rather than its meaning. A similar class of analogies are built on the basis of pronunciation. As noted in their official publications, the MAT test makers will sometimes use words with counterintuitive meanings, like “inflammable,” or with multiple meanings (e.g. “sanction”). 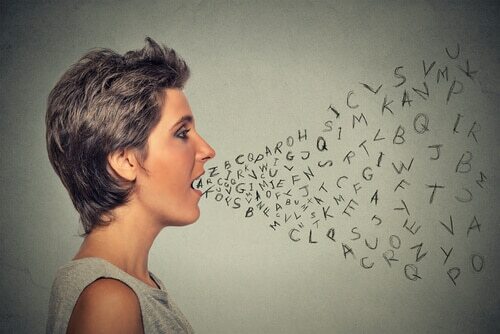 Similarly, words with counterintuitive pronunciations – or multiple pronunciations, for that matter – can be used to crank up the challenge level. Like most types of question on the exam, MAT pronunciation analogies will vary in difficulty from “easy” to “extremely hard.” In the following discussion, I’ll use examples of moderate difficulty so that you can see the key principles at work. All seven of these words – stem and answer choices – are place names. Worcester is a city in the English Midlands, and Gloucester is a city in South West England. Versailles is the site of the famous chateau of Louis XIV of France. Readers of Shakespeare might also recognize some characters from the history plays. The Earl of Worcester spearheads the rebellion in 1 Henry IV, and in Richard III, the eponymous evil king starts out as the Duke of Gloucester. So neither size nor location helps us out much. Stretching a bit, we might try to fit Worcester and Gloucester together by the fact that they’re “Shakespearean bad guys named after places.” But there’s no such thing as an Earl of Versailles or a Duke of Versailles: the palace was built by, and for, the king and his court. And you won’t find a stage direction like “Exeunt Jalisco and Saskatchewan” anywhere in the Bard’s works. Worcester is to Gloucester as Versailles is to Illinois. The first two have silent letters in the middle; the latter two have silent letters at the end. This next analogy is a bit more challenging. Take your best shot and then read on. As usual, the first thing to ask is “what do these words have in common?” Well, the three stem words all start with the letter P, but that doesn’t narrow things down: all of the answer choices start with P too. There’s no clear pattern of meaning here either. In fact, the sheer repetitiousness should put us on our guard for wordplay. Weird repetitions don’t guarantee that we’re dealing with a word game, but MAT pronunciation problems (and other wordplay problems) often have a singsong, riddle-like quality. What holds these words together is their pattern of syllable stresses. In produce and permit, the stress changes based on the part of speech. As a noun, meaning “fruits, vegetables, and other farm products,” produce has its stress on the first syllable; in the verb form (“to make, yield, or create”), the stress comes on the second syllable: produce. Ditto for permit: a parking permit is what permits you to park your car in a given spot. So much for terms 1 and 2. But how does that observation help with terms 3 and (blank) 4? Like the first two terms, profile represents multiple parts of speech. To profile (v.) someone – say, an artist you’re interviewing in a magazine – is to create a profile (n.) of them. But unlike produce and permit, profile has the same stress pattern in either form. That pattern – a similarity and a difference – puts us on alert for an answer with the same properties. always has the same syllable stress pattern. Once it’s grasped and explained, this type of analogy can often feel like a “gotcha” or a cheap shot. It’s tough stuff, I know! But bear in mind that we’ve been focusing on the most “puzzle-like” part of the MAT. Get familiar with these patterns, learn to anticipate the MAT’s traps and tricks, and you’ll gradually rob the exam of its power to surprise you.